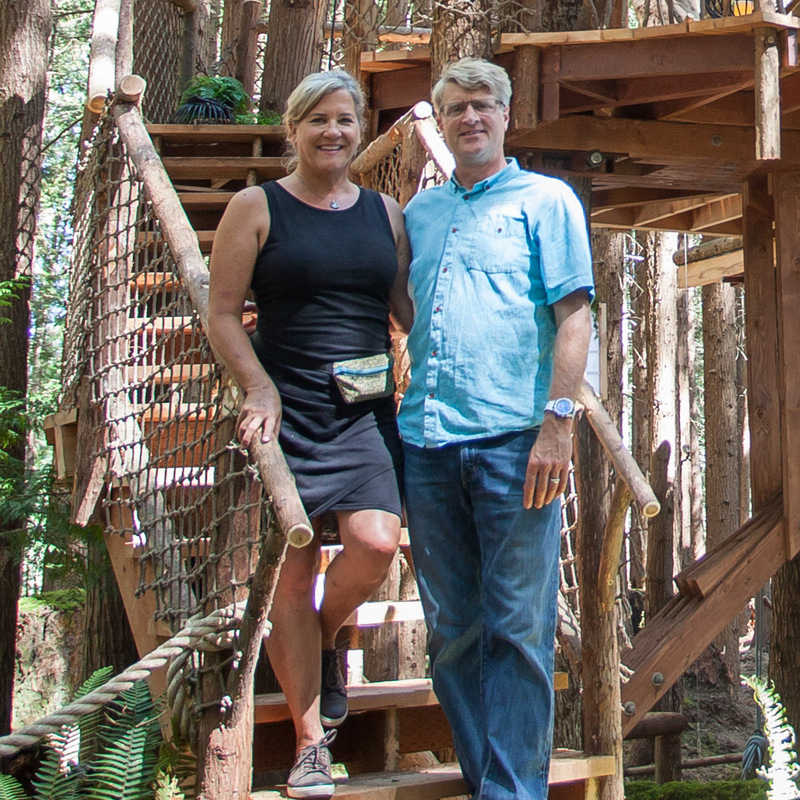 Our latest treehouse in Washington’s San Juan Islands beautifully blends modern and rustic design and includes playful features like a fire pole, ship’s ladder, and suspension bridge. Join us as we look back on the build. Take a virtual step inside this seaside treehouse in our video tour! The scenic treehouse is nestled in a grove of Douglas firs on Washington's iconic San Juan Islands. This arboreal bedroom retreat is complete with an ample deck, copper roof, retractable window wall, and crow's nest. For the season finale of Treehouse Masters, we crafted something especially unique and playful… enter our open-air, multi-pod movie theater in the trees. It was an honor to build in Pennsylvania for the Semper Fi Fund Kids Camp, which provides week-long camping experiences and ongoing mentorship for at-risk children of service members. It was a delight to build this multi-pod treehouse with unobstructed views of Mt. Hood. This luxe, British-themed lair would befit the likes of James Bond. Inside, its wet bar and posh living room are capped with an artful reciprocal roof. For another 007-worthy touch, a built-in bookcase hides a secret door to the sub-platform bedroom. We took luxury box seating to the trees for Antonio Brown of the Pittsburgh Steelers! Its two stories, wall of windows, crow's nest, and sub-level bar all overlook a basketball court and football field. Antonio's treehouse is built for play and relaxation. Marlene asked us to create an idyllic guesthouse, outfitted with plenty of space to host her grandchildren for a night in the trees. You saw Marlene's main pod come together on Treehouse Masters—read on for a look inside the second, "bunkhouse" pod! Building this treetop writing studio in upstate New York was a very memorable experience: from applying gold leaf to the pediment, to fielding a visit from friendly goats, it kept our crew on their toes!